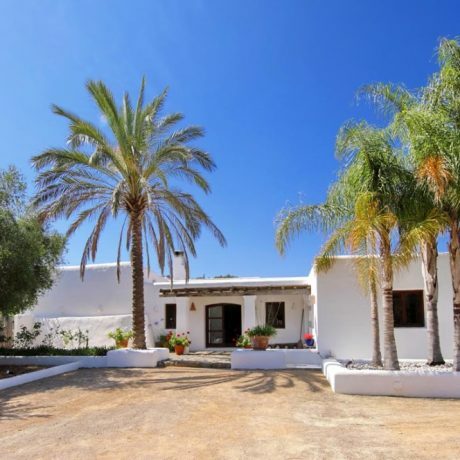 This large 6 bedroom villa is located close to the beach of Cala Conta and Cala Codolar. Set on a plot of 1050m2 and with the house having 300m2 build, 150m2 on each floor. On the ground floor we have a large living area with open plan kitchen and dining area, furthermore, there are 2 bedrooms with ensuite bathrooms and a guest toilet. Also on the ground floor, there are 2 covered terraces and a large open terrace. On the first level, there are 4 bedrooms with each a bathroom ensuite. As for the garden, this will be finished with tropical trees and fruit trees. Of course, there will be a large swimming pool. The views are just magical, beautiful sea views and views of Es Vedra. To be completed in July 2018. Floorplans available on request. 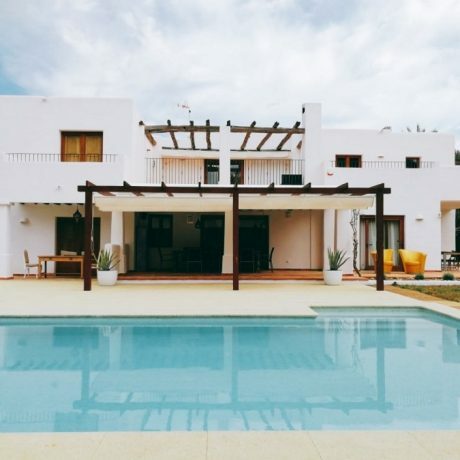 A must see property by Ibiza Now.